Dads are special and we love them to bits, but sometimes they can be hard to shop for. Especially if the kids want to do something personal for them. Let’s face it – they either have enough ties or don’t wear them at all. 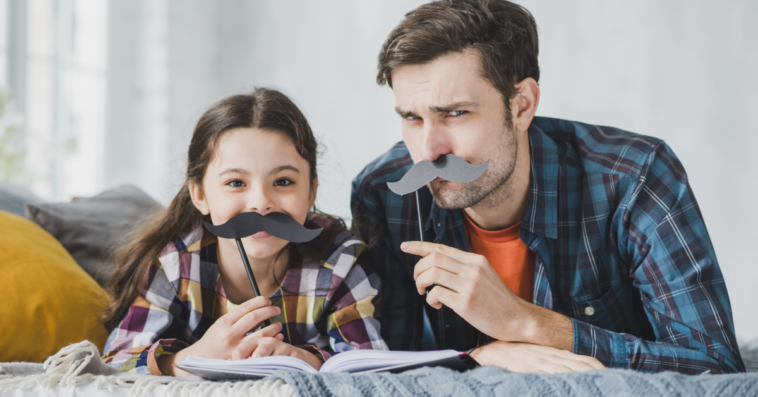 We can do better for the Dads we love this Father’s day with these fun and simple D.I.Y. gift ideas. 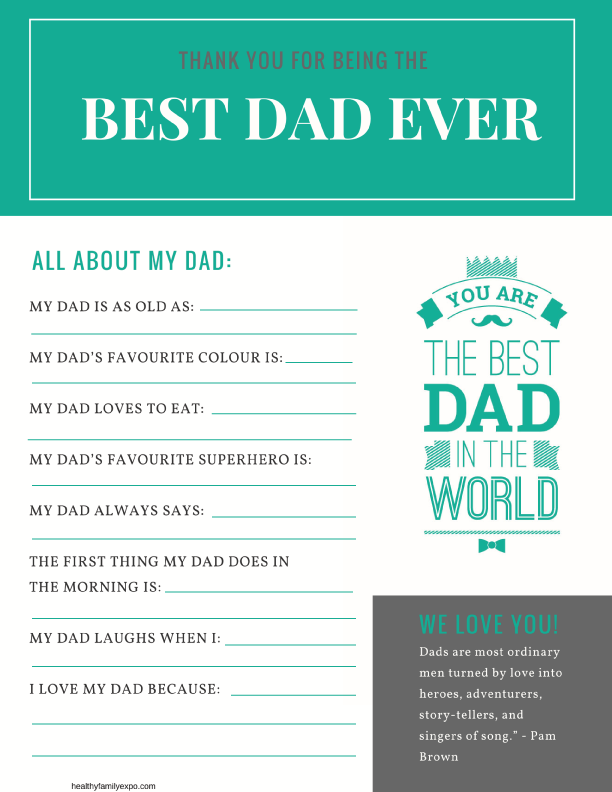 And scroll down for a free printable to capture the funny things kids say about their dads & you are all set! We love this nature craft idea from CraftsbyAmanda.com! 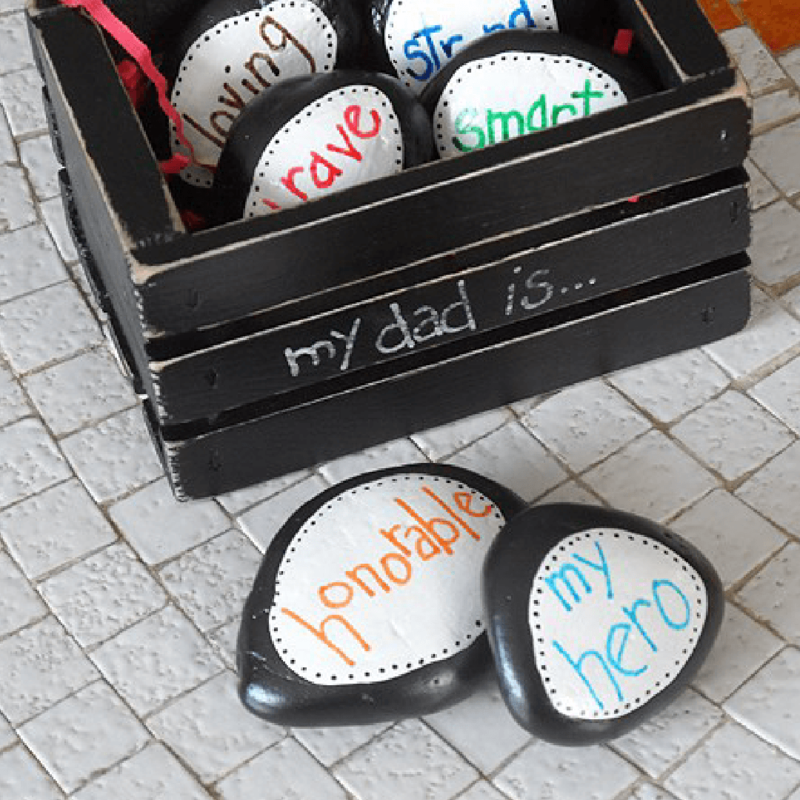 Have the kids gather special rocks, paint them black then once they are dry add a white are to write on and some decoration. Have them brainstorm all the words that come to mind when they think of Dad. They might like to surprise him during the year by slipping one in a jacket pocket to bring a smile to his face during the day. 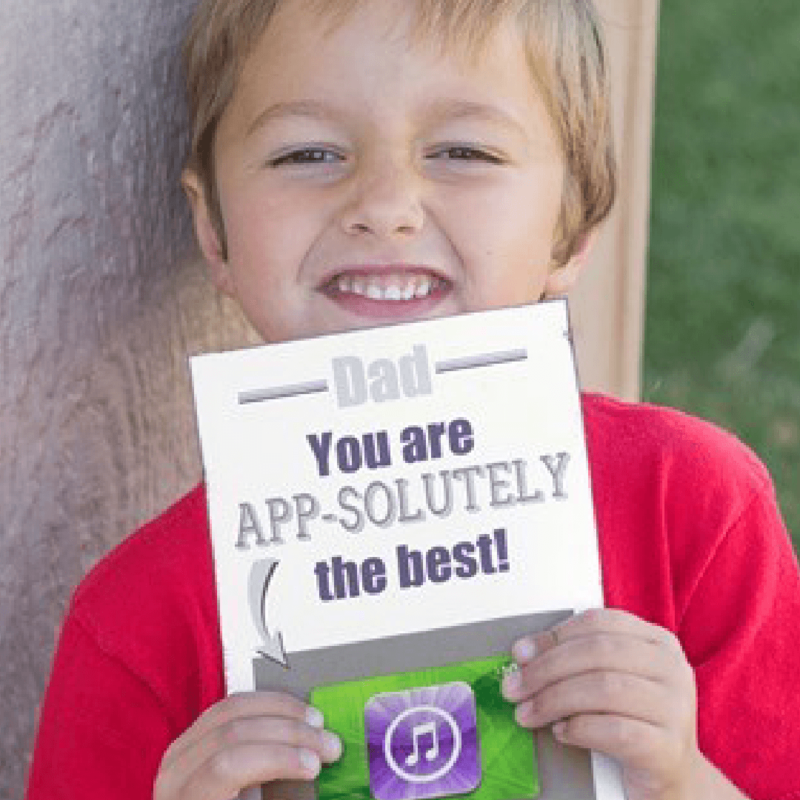 This unique gift card idea is great for the techie dad! Use the printable from Whipperberry.com and add your own iTunes or Google Play gift card. We are sure that the kids will have some suggestions on which Apps Dad should download 😉 . 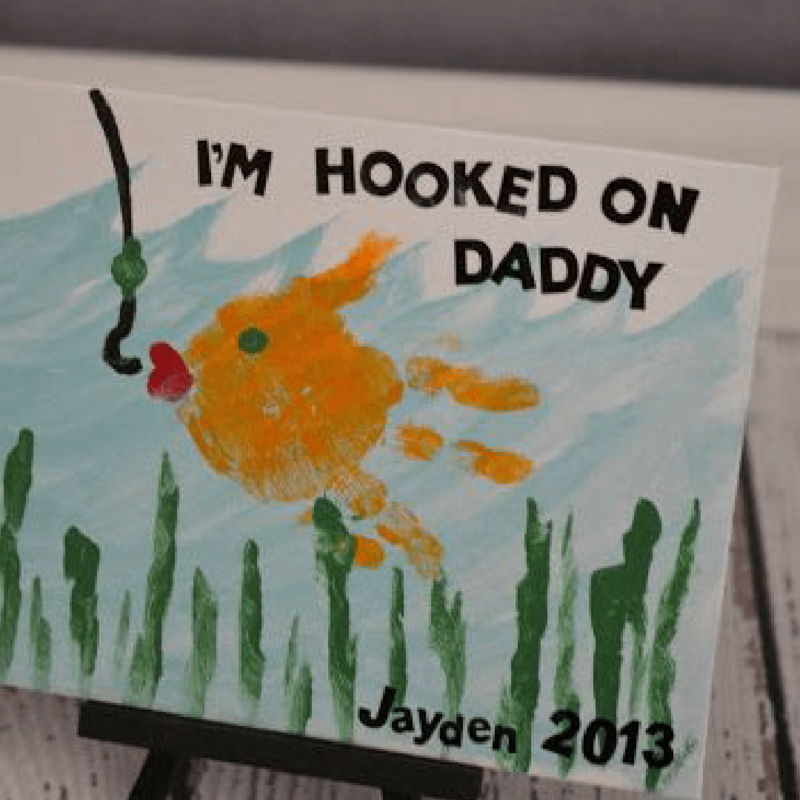 If you have a craft store nearby, this handprint craft from Canningcrafts.com is perfect for a fishing Dad in need of some office decoration! We recommend a ceramic tile and a plate stand to really show the beautiful art work. 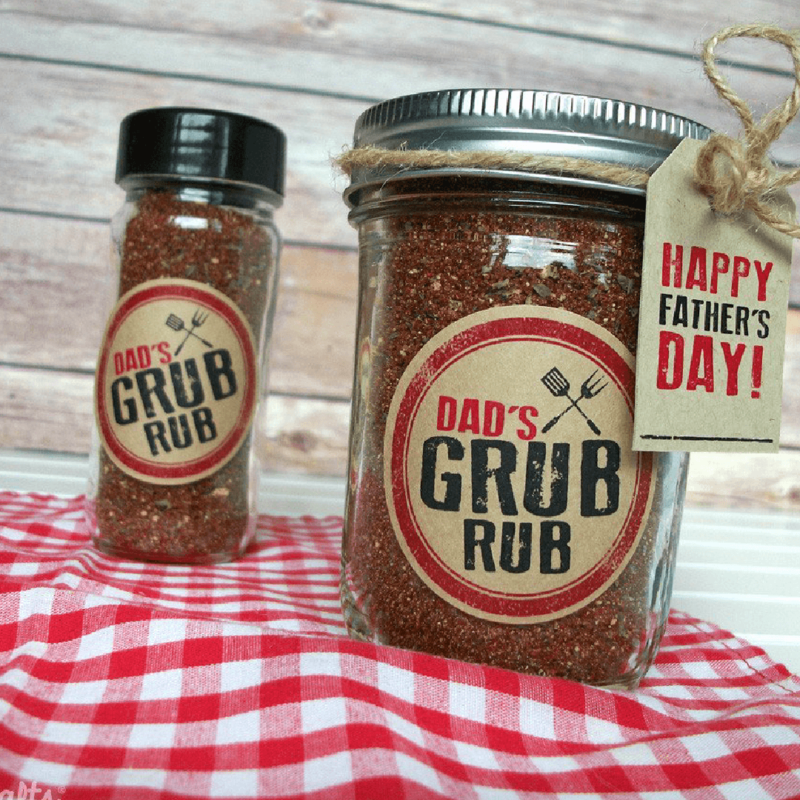 Every BBQ loving Dad will swoon over this rub sice mix made with love. All you need are spices and a mason jar. Canningcrafts.com also has great printable labels & gift tags. 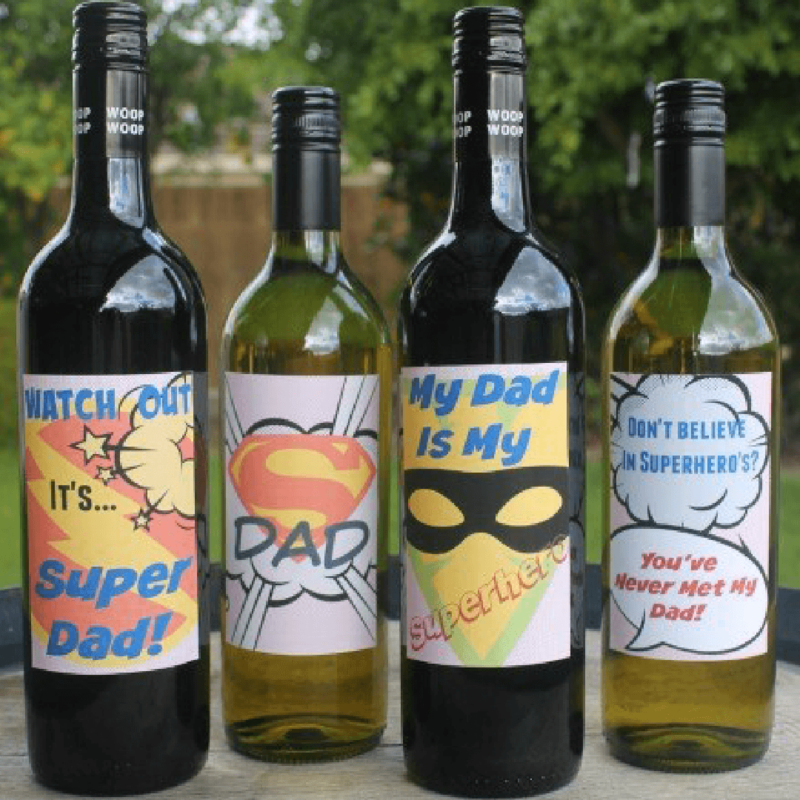 Surprise Dad with his favourite bottle of wine in a fun way. These action packed wine label printables from smartpartyplanning.com put a new twist on a wine gift. Also great for Grandpas! 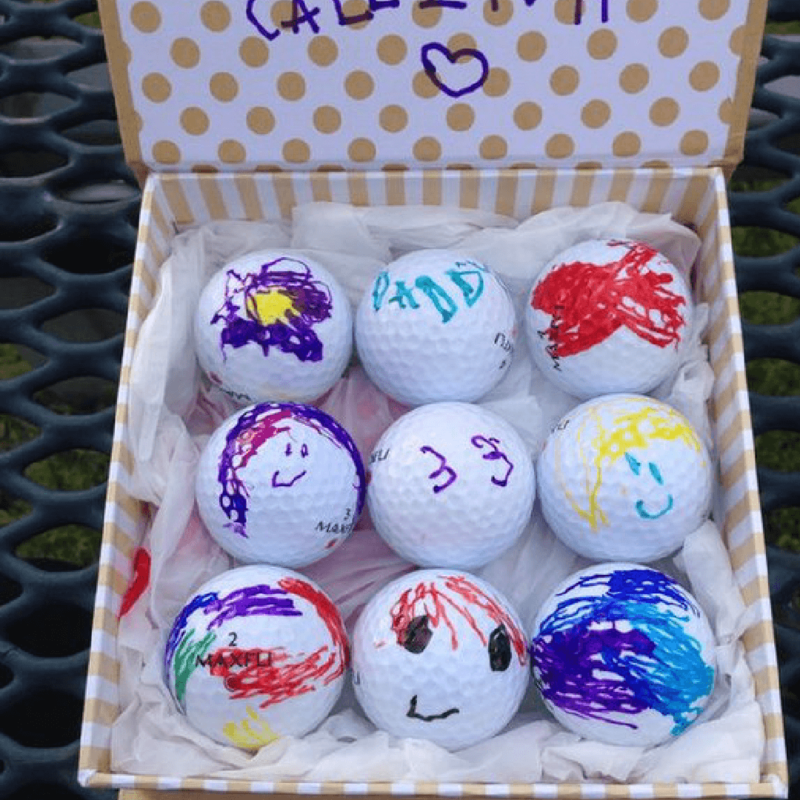 A set of personalised golf balls is the perfect gift to pair with a day of golfing! Dad will never wonder if this is his ball or not and will be thinking of the kids all day. Click HERE to download a printable to capture the funny things they have to say about Dad this Father’s Day. Tip: do one from each child & don’t give them any coaching! 35 Summer Fun Ideas To Keep Kids Busy Metro Vancouver Experience Gifts for Adults & Kids Play Nature Bingo!